This high-octane show will be a spectacle to witness, and a treat to experience in an intimate Jackson Hole arena. 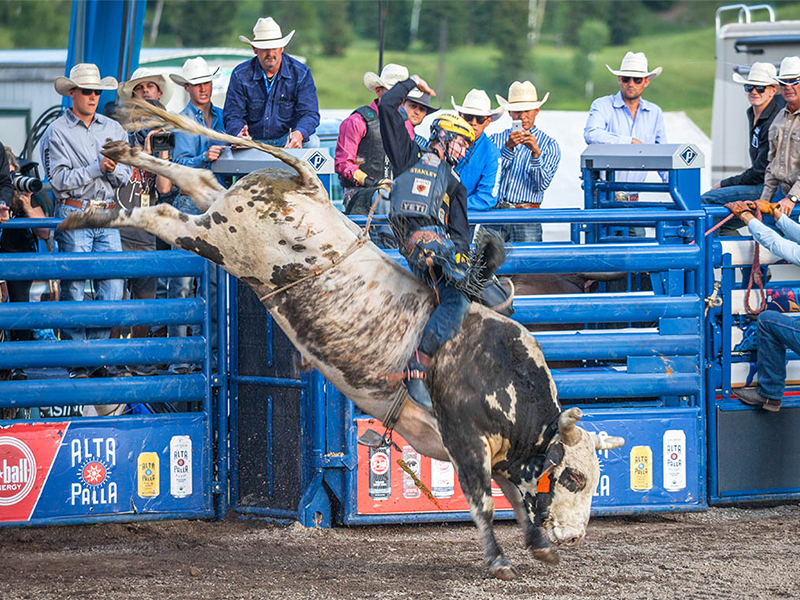 The Jackson Hole PBR will include a vendor village featuring retail booths, food and drinks, comic relief by a PBR entertainer, mutton bustin’ for kids age 6 and under, bulls from PBR’s Stock Contractor of the Year, Chad Berger, and an after party. Tickets available online. Our team will see you tonight in the VIP Golden Buckle tent and in the stands.